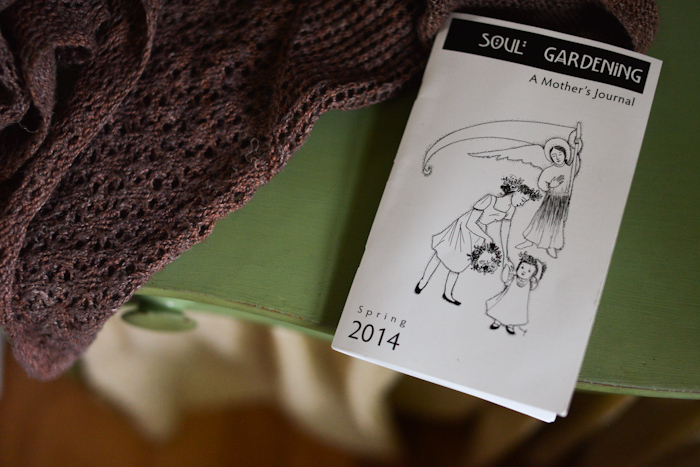 Do you remember the journal for mothers that I mentioned earlier this year called Soul Gardening? The spring edition has been mailed out and I devoured mine in only a couple of days. I found myself in desperate need of encouragement and while I really meant to try to make it last, I just couldn’t. I ought to mention that a brief article that I wrote is included, an ode to the dirty life I guess you could call it. If you are a Catholic mama (or not opposed to receiving encouragement from Catholic mamas) you might consider requesting that your name be added to the mailing list. The journal is free to receive, although printing and mailing is dependent on donations. I would love for the next edition to get funded so that once all the writing is finished, lack of funds doesn’t end up holding things up. I often find myself feeling a bit out of place in this world, not really fitting anywhere. And I have to confess that Soul Gardening feels just a little punk rock to me, reminiscent of the zines of my youth. Back then I was lacing my combat boots in what I believed to be my own little countercultural world, while today I’m mothering seven children to the tune of what many consider a radical faith. Either way, I do seem to always remain on the fringe. I think I can safely say that I have found kindred spirits in the Soul Gardening Journal. I am in the midst of re organizing my kitchen and trying to make it more “feed all these people” and “school all these people” friendly. 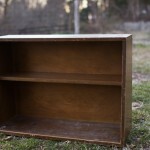 I am far from finished, but I wanted to show you the hutch that I repainted. I lightened it up a good bit and relocated the field guides. Keeping them in the ktichen really didn’t work. The shelves were always covered in crumbs and mess. The doors are back, and rather than replacing the mirrors that were once there (the last thing I need is one more place for fingerprints) Jonny added chicken wire. 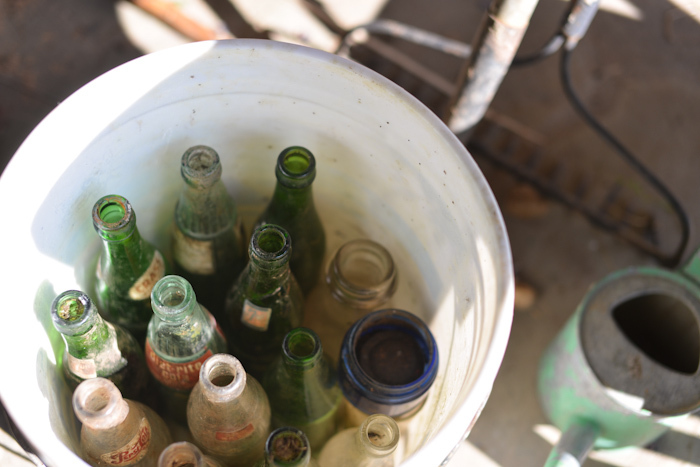 The bottles in the bucket are from one of Seth’s recent escapades into someone else’s trash heap in the woods. This time he found them with a new friend who shares his love of old things and happens to have a dump in the woods behind her house. And finally, it’s been cool here the past few days, cool enough that I’ve had my favorite shawl out, one that I received as a gift just before Job was born. I have to apologize because I have been asked so many times for the name of the pattern and I have failed to get back to people with that information. (This is the same shawl that I wore to Job’s baptism.) The name of the pattern is Greenway Shawl. It’s wonderfully light and airy, but can be wrapped tightly around the neck for warmth if you need it. The yarn that the dear woman who knit if for me used is Meadow by The Fibre Company. The colorway is Lady Slipper. I have never knit with it myself, but can tell you that it’s amazing yarn. I’ve been wearing this shawl regularly for more than six months and it still looks perfect, not a single pill. 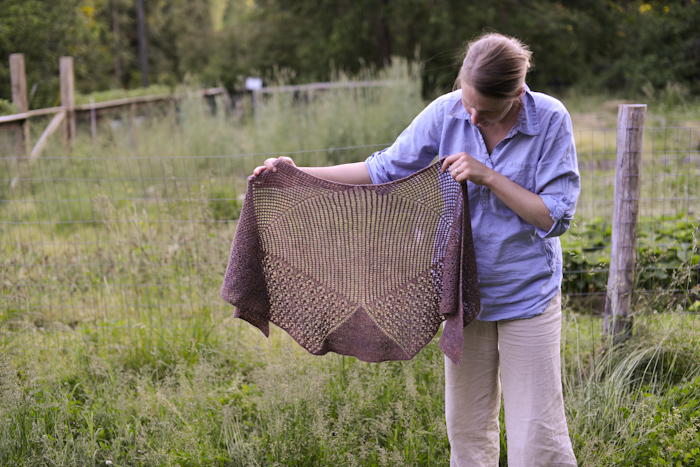 This shawl is soft, yet sturdy, truly beautiful. The color shifts subtly and gives the piece such depth. And I’m not just saying all this because it was a gift. I could go on and on. I will one day knit something with this yarn myself… another shawl perhaps? One can never have too many shawls on the needles. I started reading the essay you wrote in Soul Gardening this edition & I began to wonder who was writing it (I always try to guess which of the awesome gals is writing as I read before looking to the end notes)…so awesome to find it was Ginny! I LOVED it. Truly. I worry about the state of my home far too much. Your words have definitely helped me relax. I found this issue particularly uplifting & inspiring & just what I needed. I devoured mine, too–on the couch with the windows open during naptime. I would pay big money for your hutch (if I had any to spare!). I would really like to re-purpose our oak behemoth from the ’80s but the hubby thinks what isn’t broke…..I love the chicken wire addition. Beautiful! I often feel a bit out of place in this world too. Thank goodness for the internet and connecting with kindred spirits because it makes me feel less so. 🙂 Your blog always feels like one of those places for me. Is Soul Gardening something a not-yet-mother might enjoy? I’m recently married, and my new church gave out Little Black Books (full of prayers, reflections, saint stories, etc.) during Lent. Now that Lent is over, I’m missing having a little book that I can read a passage from every day. Do you think Soul Gardening could be used in the same way? Alice, I think you would enjoy Soul Gardening, even if you’re not yet a mother. And it’s got just the quiet reflections that give you a real sense of contentedness with the universal Church. and also Old Navy also had some gray and white baby items. 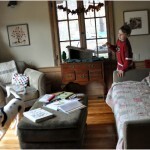 I like gray for our little guy too….Cannot wait to receive Soul Gardening and read your article. Lovely post. I am going to subscribe asap. I too am on the “fringe” but would I have it any other way, absolutely not! Creativity is not found too often in my Catholic, homeschool world so I make my own little creative/unique place here at home. Beautiful job on the hutch and will be adding the shawl pattern to my growing list. Ginny, your kitchen is just lovely. It’s bursting with light and simplicity. And the finding-treasures-in-junk-piles-thing would be right up my son’s alley… wish you were our neighbors! Thanks again for taking a bit of time amid your busy mama days to bless the journal with your words. Keep up the beautiful knitting; I’m inspired! I am so grateful for the introduction to Soul Gardening! I received my first issue this past winter and it was like a hug from a friend I can’t seem to find in real life. I, too, feel very out of place on a regular basis even though the people I do associate with (when I leave my farm which is not often) are perfectly lovely people. I just don’t fit in. Oddly enough, this fact never bothered me when I was younger (I had my own combat boot and trench coat days) but it sometimes makes me feel unbalanced now, as a mother. Thank goodness for journal like Soul Gardening and blogs such as yours to commiserate, learn from and feel uplifted. Peace and thank you! When you last posted about Soul Gardening I put my name on their mailing list and loved every article in it. Just love the Spring issue as well and enjoyed your article. It is really does touch a special place in my heart, although I do not have nearly as many children as you and the others, I always wish I cold have. God bless you and all who sail in you ! As my dear friend would say ! Soul Gardening has given me so much encouragement, especially living where there aren’t a lot of bohemian Catholics (even though, ironically, I live nearby the orginal Bohemia). Looking forward to your article in it! P.S. I think the hutch is improved by the chicken wire. I would have it in my house in a heartbeat! Soul Gardening!!! I keep reminding myself to update my address (we recently had a move from Florida to Wales, UK). But the copies should be forwarding to my parents’ home, so they won’t go to waste! I’ve written a few things for them as well, they’re sooo lovely–handwritten thank you letters and post cards and personal e-mails–just wonderful people to know. Like you do, they minister to me in a profound way, as I often find myself caught between two polarities of traditional high Catholicism and bohemian poet wanna be homesteader. We are out there! A big thank you to both you and them for that! I love the chicken wire on the hutch! What a great idea! 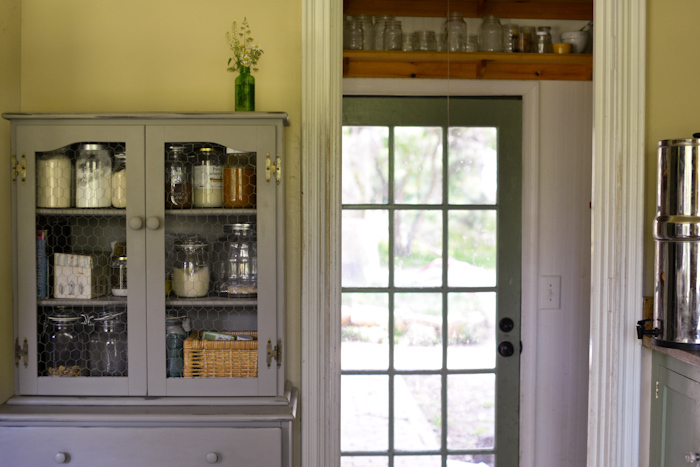 just love your cupboard…love the wire doors and the color! just love your farm home and the shawl is beautiful! as your shawl…someday (sigh)………….I’ll get there yet!!!!!!!!! Ohhh – YAY! I’m so grateful that I found Soul Gardening through your last post about it. It came at a time when I desperately needed encouragement. Now I want to take a walk out to our mailbox and see if my copy is there. I love that shawl and the chicken wire doors! Oh Ginny, I’m so glad you like that shawl so much! You know, they do have a colorway named ‘Larkspur’! It’s a very deep purplish blue (stunning) and I really was torn about whether to get that one for you but I though you would like a more neutral color. Anyway, maybe when you knit with it! It’s a little hard on the hands but so is any linen blend, and then it wears so well, as you have found. 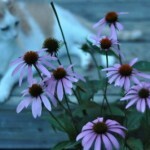 I’m looking forward to your garden pictures this year! It’s that time again. I personally fail at that pursuit but enjoy seeing other people’s, and I shop at the farmers’ markets and local coops to get the next best and freshest produce. Happy Spring! We are kindred spirits with yellow walls. Love the hutch and the shawl. And by the way, the fringe is a great place to be. Beautiful as always. Those comfy looking Old Navy pants making another appearance, I see. 🙂 They’re on my maternity list! I love your new hutch!!! The paint color…the chicken wire…the jars inside…the lone bouquet of flowers on top…all perfect! Love it!!! 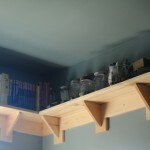 I also like the french door in the next room…the color is lovely, and the shelf above it is a great idea! I love the way the hutch turned out, the jars look so pretty in there, but it’s still perfectly functional as well. The wire on the doors reminds me of an old pie safe. It makes me wonder if I could replace the ugly laminate cabinets in my laundry room (they function as our pantry) with something like that, if I found a good deal on a cabinet to paint. Oh I am so happy to have come across this post! I just signed up for Soul Gardening and I can’t wait to get my first issue! Love so much about this post. 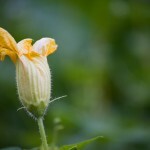 I slipped over to Soul Gardening and signed up! The hutch is beautiful and the shawl amazing! How funny! I am currently knitting a shawl using Meadow. It is so incredibly soft!!! I am glad to hear it wears well. and isn’t this latest issue of Soul Gardening even more amazing than the last? I can’t get enough. It reminds me of home, too, since it comes from the Portland area and I know how blessed I was to find likeminded mamas in our parish there. 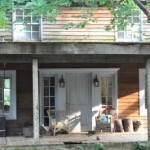 We spent the weekend trying to make the house more functional too. Beautiful shawl and love the hutch. Thank you for sharing. that’s just lovely! the hutch, the writing, the shawl! Thank you for telling me about Soul Gardening. I look forward to reading it! Sigh. I just *love* how you write. So friendly. I also love the chicken wire doors. What an inspired idea! I had to laugh about your shopping yesterday. Laugh at myself I mean, since I always thought I was the only one who felt that way about shopping. Not so! Thanks for sharing that story.